I have only one niece. This is problematic for a woman who grew up the oldest of four girls and many foster sisters to boot. This is especially problematic for a woman who adores her boys and still thinks about being a mother of a girl. Needless to say, my niece is indulged completely by me. I recall a time when she was about 4 or 5 and she wanted something from me and my sister (her mother) warned her that I might say no…she was dumbstruck, “no” was not something that I would ever say to her. She was right. 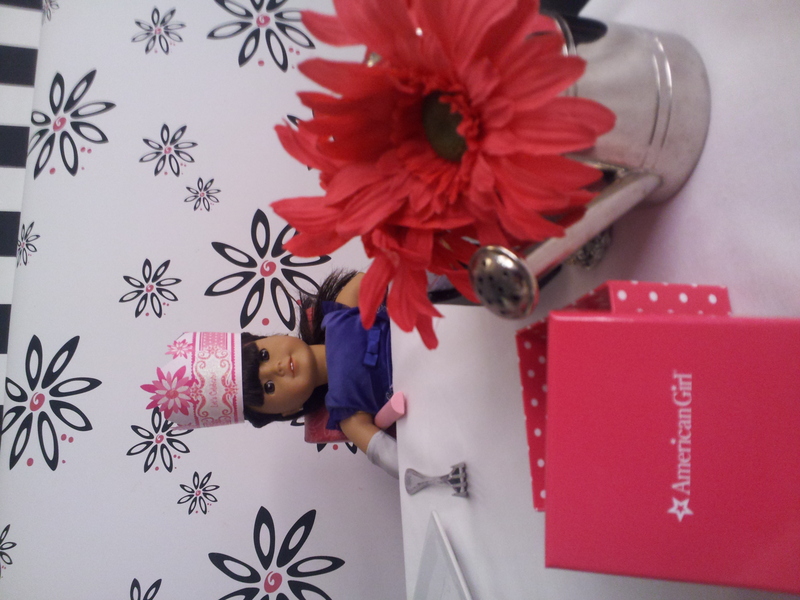 It was then no surprise to her that I would offer a day at the American Girl Cafe and Shoppe to celebrate her birthday. After all, I was the one who got her one and only doll. While dismayed that there was not a single face that matched my mixed race niece, she loves it. I was warned particularly by my friend Julie (American Girl). I could reiterate all the things that are wrong about the American Girl franchise – from the lame excuse of an Asian face to the complete lack of diversity in these girls who are supposed to represent America. We didn’t even bother going into the historical doll section. We knew there would be nothing that would reflect us. Yes, it was all a money making gimmick and I spent way too much getting a doll’s hair done and ears pierced. But I loved every moment of it. On a random weekday, my sister and I got to spend time together in the city. That would never happen without my niece. While this day was all about her, it was really about my sister and me having an experience we will never forget. We got to eat at the Cafe and the fare was not bad especially with a glass of sangria! 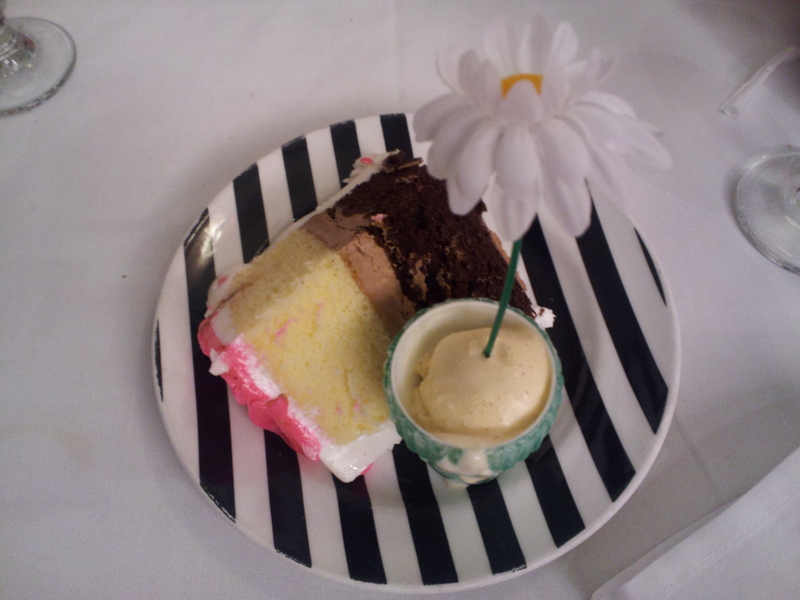 The cake was delish and the decor was a little bit magical. The idea that this was all about a girl and a doll was not lost on us. But it gave us a few hours to pretend we were young girls again with the grown up knowledge that we could afford it. When I was little, I had Madame Alexander dolls that sat on the shelf encased in glass. I didn’t play with Barbie and was really not a doll person. Coming home at 6 years of age having already diapered real babies and carried kids on my back, I was not so enamored with the whole “make-believe I have a baby” thing. I stepped over that phase of development. Coming to the American Doll store allowed the child in me to come out and play for a while. My niece’s 9th birthday may be relegated to her mother reminding her of how great a time she had, but for me and my sister, it was pure fun and something I will always cherish.